Art is inseparable from design. So, it’s high time I let you know just how much I love art! The stunning rooms featured here all reach a new depth by including artistic sculptures. Above we see the earthy “O” sculpture in the background, and the distinct walking sculpture in the foreground. These sculptures become a part of the space and give life to the room even when completely unoccupied. 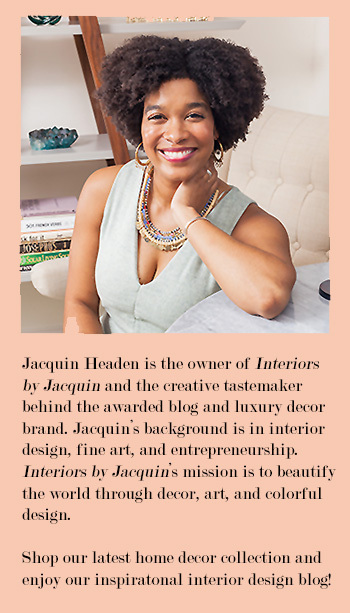 This blog will feature a variety of art forms both within and beyond the realm of interior design. So, let’s explore together the unlimited possibilities of art in design and the art of life. How impactful is the tiny nook above! 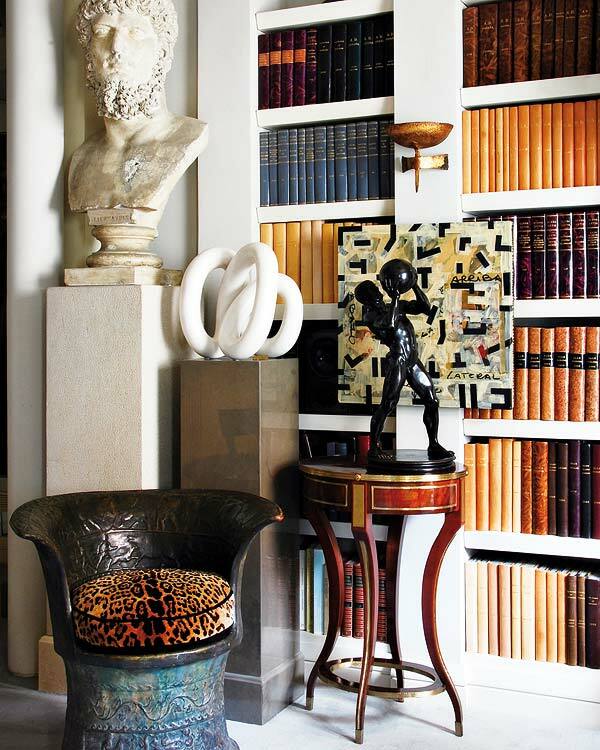 It has three sculptures, hanging artwork, and a bold animal print chair and it all comes together just masterfully. Below, I am delighted by the eclectic nature of the sculptures featured. 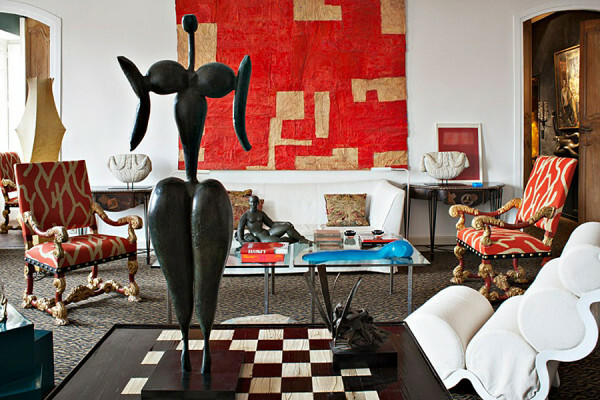 This room features a large monk statute created by Xiao Li and a whimsical red mobile created by Alexander Calder. The living space feels global, airy, and most notably zen. This is definitely a space I’d love to call my own. There are men on the wall! How unexpected is that? I’d certainly say this is a fresh perspective on including sculptures in the home! That’s one of the very best things about art, it provides unlimited potential to the design of your home. There’s no shortage of visual interest in the eclectic home shown above. You’ll be surprised by just how many sculptures you’ll count in this space. As you can see, the more artwork you add, the merrier. The London home below is equally interesting. Just take a look at the avant-garde sculpture featuring chic lampshades for the figure’s head. Unexpected yet again! 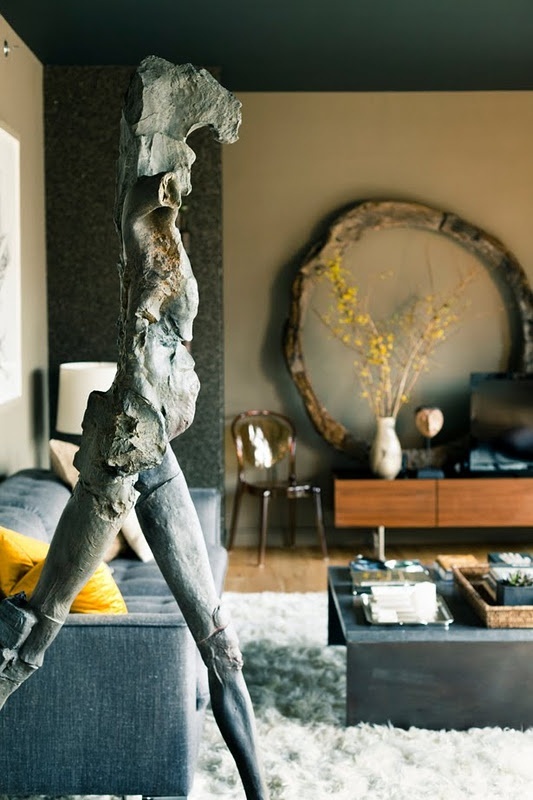 So when it comes to adding a special sculpture to your space, just go for it. It really adds depth and personality to your home. Select a sculpture that makes you feel happy and you’ll be well on your way!